Technology has advanced a lot as a result of which things have developed quite well to make your life comfortable and convenient. One of the things is the retractable screen doors that not only makes your home comfortable but also enhances its beauty. The retractable screen doors are distinctly different from the conventional metal screen doors both in terms of appearance and functionality. The first and foremost benefit of having a retractable screen door is that it is so easy to use and gives our home a unique look. The retractable screen doors are available in a number of eye-catching designs and different colors which will enhance the beauty of your home décor for sure. As the screens have strong and solid fittings, it is much easier for you to maintain a retractable screen door. The installation of a retractable screen door is very easy which makes for a convenient working and maintenance. You like to view the outside of your house but bugs and insects disturb you a lot. Using a retractable screen door means the end of insects and bugs ruining your enjoyment while you are viewing the beauty of nature. Other than this, it is a great way to increase home ventilation which eventually results into reduction in energy consumption. 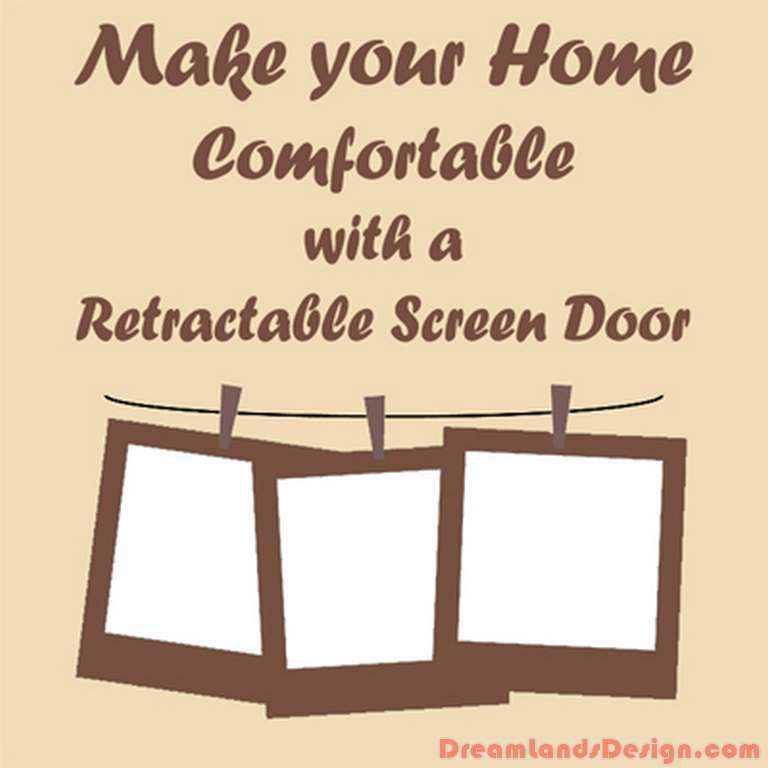 A retractable screen door discards the need of two doors. How? Keep the glass door open and leave the screen of the retractable door unrolled for the purpose of protection. Have you decided to buy a retractable screen door? Then, there are certain factors to consider when you are deciding which type to install at your home. Check the quality of the handles of the screen door. The handles must be fitted properly and easier to get hold on. Ask the retailer whether the screen door has nylon element. The nylon element ensures proper UV protection. Do check the period of warranty and make sure that the retractable screen door is installed by a professional only. Also do not forget to go through the terms and conditions of the after-installation service.